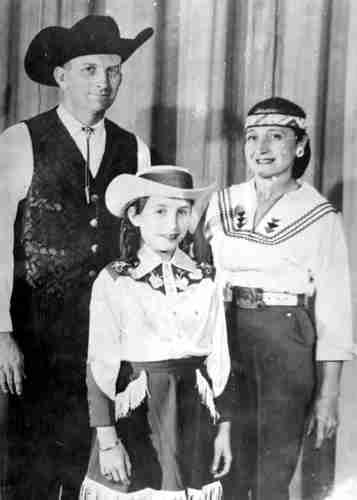 The Girard family consist of Marvin, Virginia and daughter Giselle. 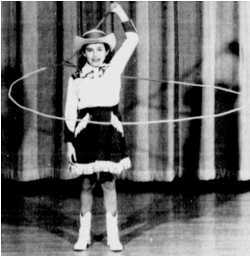 The trio performed juggling, trick and fancy rope spinning and novelty acts. Marvin was born on August 3, 1924 in Glennie, Michigan to parents Joseph and Hazel (Batten) Girard. Marvin' family moved to Owosso, MI, which would become his life long home. Marvin graduated from Owosso High School in 1943. He taught himself juggling and rope spinning. 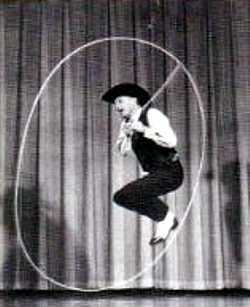 Not only did he learn to perform juggling and westerns arts, he also studied the history of the arts and their performers. Marvin was an "old school" juggler and rope spinner, one of the best I ever seen. Marvin was also an author. He has written poetry and books on the history of the "old west". 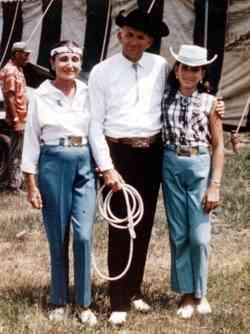 Virginia K. DeKhol (born March 28, 1917), along with her sisters Gladys and Collett grew up in the business. 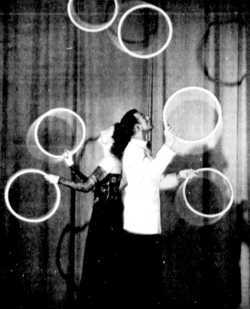 Their parents were Perry and Myrtle DeKhol, who along with their daughters were billed as the the DeKhol Troupe who did a juggling and rolling globe act. Marvin E. Girard and Virginia K. DeKhol met while performing on a circus in 1950, they were married later that year. The Girard family toured the United States and Canada on various circuses in the 50s and 60s then went into semi-retirement in their home town of Owosso, Mich.
After retiring from the road Marvin and his brother Victor operated the "Girard and Girard" wholesale candy company in Owosso. On April 13, 2014 Marvin E. Girard died in Lansing, MI., Virginia preceded Marvin in death, she died June 6, 1998.